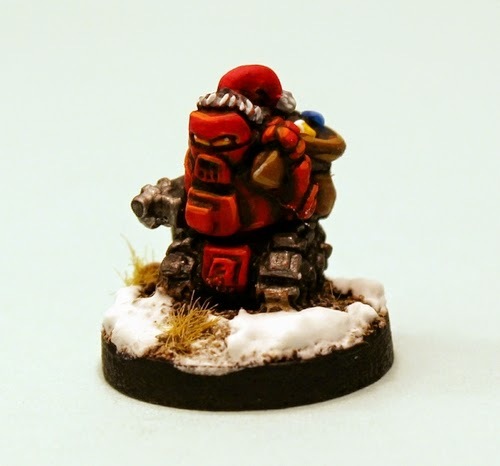 The Ion Age Blog: IMP16 Chrimbot free miniature for December 2014! 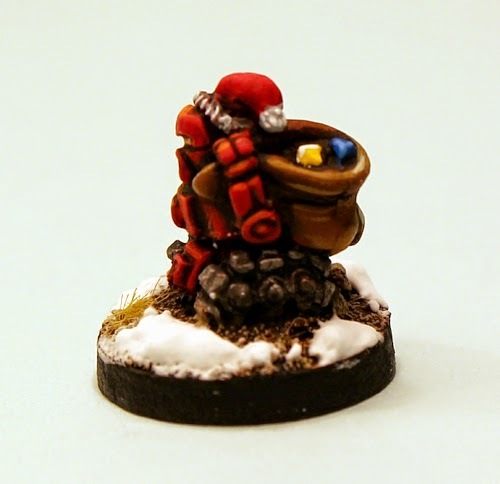 The IMP16 Chrimbot is December 2014's free miniature which is automatically put into every order at the rate of one per order of any value. It can also be bought in any amount too on the monthly IMP page of the website. On two sets of clanking treads this bot is armed with a Tumber Mpi and an arm holding a bag of presents all topped off with a cheery cap. Heavy armour plate and a festive mood and a perfect companion for Santa Desteria. It stands 15mm tall in one piece. A real robot rouser! 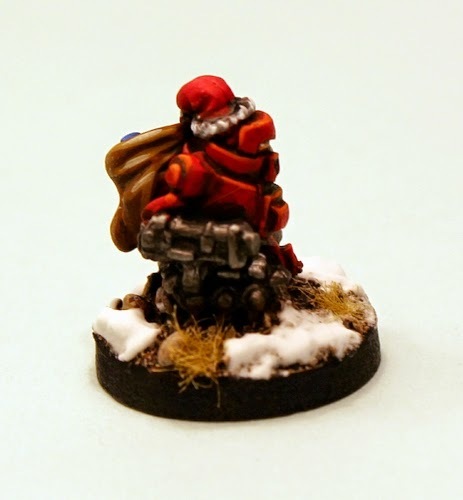 This miniature is a fine addition to any 15mm science fiction collection for any game system. As it is our second year we look back at this time last year and see what the free miniature was at that time. 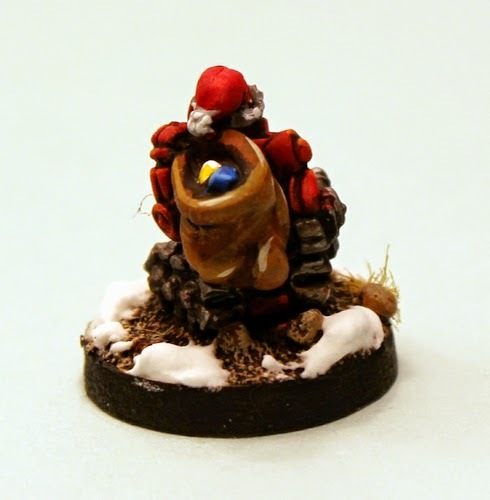 In December 2013 the free miniature was IMP04 Santa Desteria. It was our fourth miniature to be given out free. You can find this miniature in the Year One Collection if you are lacking it. We want to make the point that we will have only one new release in this month and that will be on Thursday 4th December and no early supporter offer. But that is not to say that we will not be making use of the offers page on the website this year ending month oh no! We will be putting up some offers from our range that will last until the end of the month there which you can pick up if you fancy a treat at 10% off. My favorite free miniature so far, he really looks mean!